Have you driven a Lotus Exige S - you may prefer one of those to a Porsche. Also, I'm one of those that like the 718S, its clearly a brilliant drivers car on or off track. If thats not for you get your name down on a GT4, my strong suspicion is Porsche will deliver something very special for the two last NA cars - the 718 Spyder and the 718 GT4. At the end of the day Porsche have to operate in a global market and meet a whole raft of regulations - it is what it is. 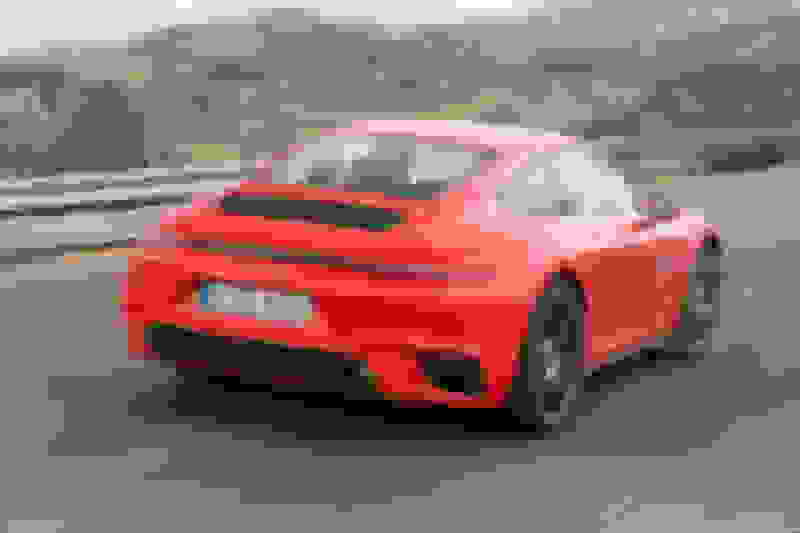 Which auto show is the 992 expected to arrive at? Agree,....if the final version ends up something like this I do like it a lot. The "yellow" pics are horrible to me, clearly not the same design. Where's the 3rd brake light? That looks horrible. Is that real or just a rendering? Not joking. I really like it. It's a rendering. Looks like it makes the rocking world go round . I like it a lot (though?). I don’t like a horizontal black line or thin taillights but I think that exhaust is a big improvement over the .2 pse. The new wing shape I think could grow on me, we’ll see. agree. Looks like they try to include both 718 and mission e design language. I don’t like it. The 911 should be it’s own animal. The 360 would have made a great looking Mitsubishi, but it made a crappy looking Ferrari. The F355 was a tough act to follow. I don’t know. The first time I heard the 360 at 8,000+ rpm doing the F1 scream inside a long tunnel, it got me. It’s definitely no Mitsubishi. BMW had it so right for a while. I’d probably rather have that V8 sitting in my living room by itself over the entire new M4. Throw the old M5 V10 in there and you really got a deal. Too bad those engines were housed in BMW’s ugliest generation. For otherwise, they’re likely the last times BMW will have produced emotive art as a power source. Still, as it stands, no M3/M4 as a package will ever surpass the E46 M3. Perfection, personified. As well, even the new M5’s best compliment is that it gets “closer” to rekindling the perfection that is the E39 M5 (who’s values have started to soar in reflection of this fact). But no cigar. BMW truly had the magic sauce back then. Stick that V8 in the *** end of a blown IMS 997, and you've got a beast. As for the E90: A BBK, square 285s, and you've got it sorted. That generation was the last gasp of the golden age. When you have the chance, try out a RWD N52 E90. The engine had a magnesium block, and was thus the lightest automotive I6 ever mass produced. The resulting handling is wonderful.